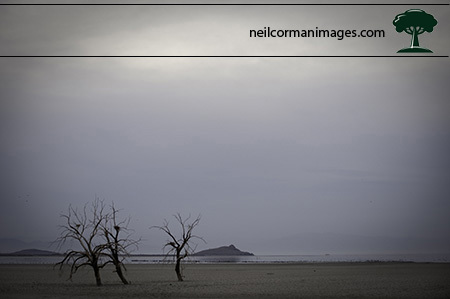 Denver Photographer Neil Corman features images from the Salton Sea and Western United States. At the southeast side of the Salton Sea is the Sonny Bono NWR. Depending on the level of the water, the area ahead may be filled with water and wildlife however on this day the water was low and the three trees just rose from the dirt a representation of how the land has changed over the years. The Salton Sea use to have many people who would come to fish and spend time at the Sea. The results are many roads which are now rarely used leading off of the main road towards the former boat ramps and other types of access through the desert. 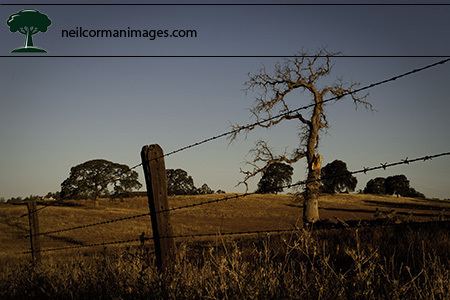 In the Fall of 2008, I traveled to Northern California and while traveling one morning for some locations noticed the tree off the side of the road. As I pulled over the barb wire fence drew me in as it shadowed the sharp points on the tree giving a new meaning to restricted access. 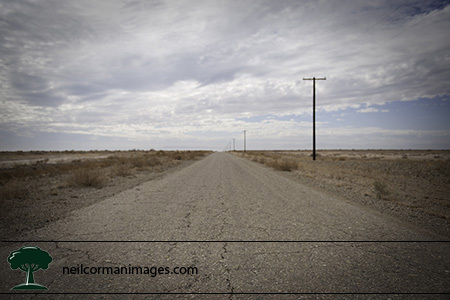 The Salton Sea and Western United States Exhibition runs from June 5, 2009 – July 1, 2009.